Price listed is for two charms. 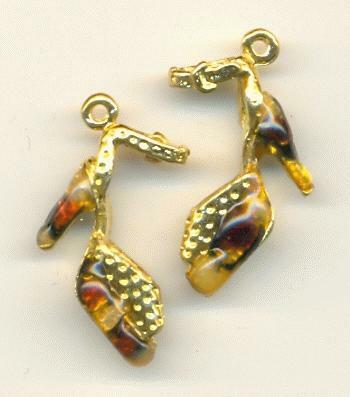 These are approximately 25mm by 13mm gold plated double sided shoe charms. They are painted with yellow, black and brown enamel. These are cast metal with a single loop at the top.